Mini Holiday Haul | emma etc. I'm off to Australia on Wednesday, somewhere a little while out of Sydney for 10 days. I thought it would be an appropriate time to do a little bit of well deserved shopping (I had some exciting news yesterday, more on that later). I picked up a few things that were holiday essentials! I was dying to get a new swimsuit as nothing calls for new swimwear like a holiday. I don't have the kind of budget which allows me to spend loads on togs, and right now Glassons has a pretty good selection of stuff. 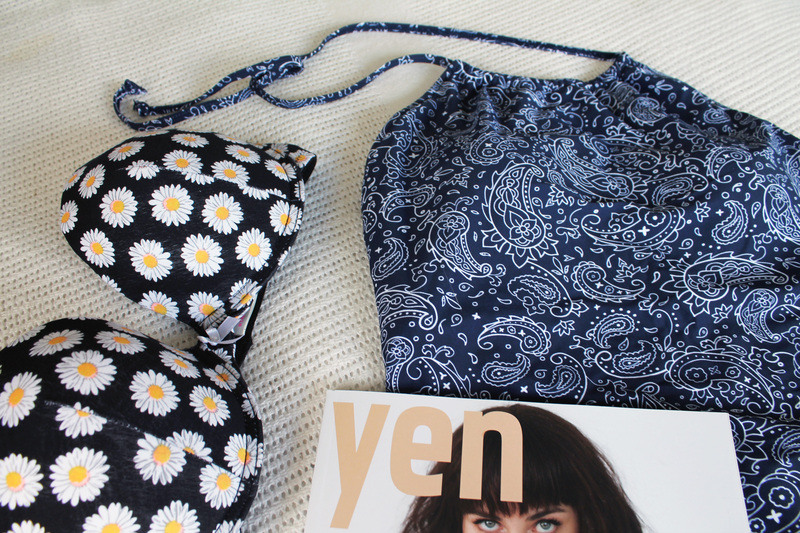 I tried on loads and the only thing I really liked was this navy blue patterned halter-neck swimsuit for $40 NZD. The thing I like about it most is the unique neckline which is very on trend right now with crop tops. It didn't look that great on the hanger, but I'm so glad I tried it on because I'm really happy with it. I also picked up some plain black board shorts which are rather boring so they're not included in the photos. I had been eyeing up the Bread and Butter Letter's (shop on K Road for you Aucklander's) sunglasses for quite a while so decided to get some in time for going away as I know I'll get irritable if I've got bright sun in my face the whole time. I originally wanted to get a brown, tortoiseshell type pair, but these black ones suited me the best and will go with anything. They were $29 NZD, I know you can get cheaper but I liked these ones a lot. I also picked up a cheap $10 NZD bra from Cotton On Body which has a daisy print on it, which I think is so cute. I am obsessed with daisy printed things, and I've been seeing loads of it in the shops recently. 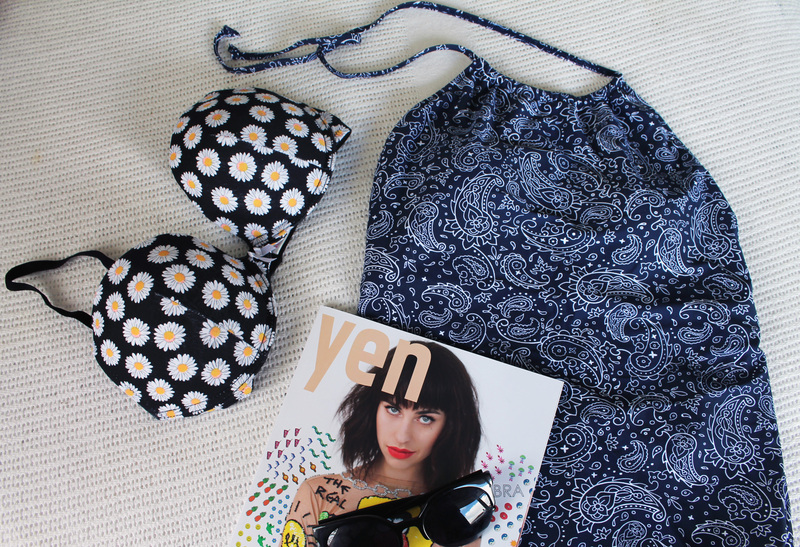 This is sort of a holiday essentials post, so I've included the latest Yen issue which is kind of old now, but I haven't had a chance to read any of it yet as I'm still reading the latest Frankie. I'm going to take this one on holiday as well as a couple of books from the library which will hopefully be available in time. I can't wait to read a lot and relax! Now onto the exciting news I had mentioned earlier. Thursday afternoon I got an email saying I had got the University Scholarship I had applied for about a month ago! To be honest, it hasn't really sunk in yet, because if I maintain good grades I will get all of my University course fees paid for three years. That is huge, as I will not even have to get a student loan and won't be in debt, paying it off for half my life. It just doesn't seem real, but I'm sure it'll sink in soon enough. 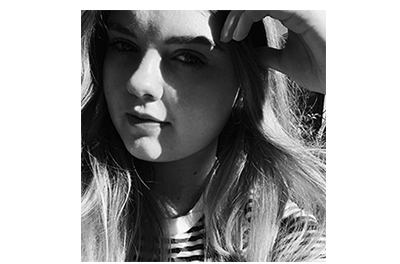 I'll be back with another post in a couple days with my September Playlist before I go on holiday.